Continuous deployment is the ultimate culmination of software craftsmanship. Our skills need to be on such a high level that we have a confidence to continuously and automatically deploy our software to production. It is the natural evolution of continuous integration and delivery. We usually start with continuous integration with software being built and tests executed on every commit to VCS. As we get better with the process we proceed towards continuous delivery with process and, especially tests, so well done that we have the confidence that any version of the software that passed all validation can be deployed to production. We can release the software any time we want with a click of a button. Continuous deployment is accomplished when we get rid of that button and deploy every “green” build to production. This article will try to explore the goals of the final stage of continuous deployment, the deployment itself. It assumes that static analysis is being performed, unit, functional and stress tests are being run, test code coverage is high enough and that we have the confidence that our software is performing as expected after every commit. Software industry is constantly under pressure to provide better quality and deliver faster thus resulting in shorter time to market. More often we deliver without sacrificing quality, sooner we rip benefits of features we delivered. The time spent between having some feature developed and deployed to production is the time wasted. Ideally, we should have new features delivered as soon as they are pushed to the repository. In the old days, we were used to waterfall model of delivering software. We’d plan everything, develop everything, test everything and, finally, deploy the project to production. It was not uncommon for that process to take months or even years. Putting months of work into production often resulted in deployment hell with many people working during weekend to put endless amount of new code into production servers. More often than not, things did not work as initially planned. Since then we learned that there are great benefits working on features instead of projects and delivering them as soon as they are done. 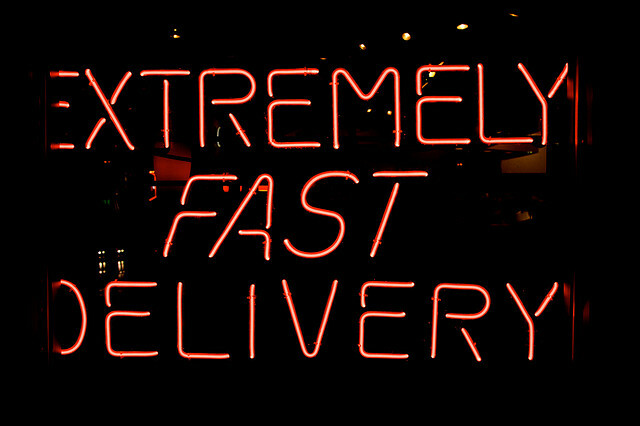 Deliver often means deliver as soon as one feature is developed. The key to continuous deployment is speed. If the process from checking out the code through tests until deployment takes a lot of time, feedback we’re hoping to get is slow. The idea is to have feedback on commits as fast as possible so that, if there are problems, they can be fixed before we move into development of another feature. Context switching is expensive and going back and forth is a big waste of time. The need for speed does not apply only to tests run time but also to deployment. Sooner we deploy, sooner we’ll be able to start integration, regression and stress tests. If those are not run on production servers there will be another deployment after they are successful. On a first look difference between 5 and 10 minutes seems small but things add up. Checkout the code, run static analysis, execute unit, functional, integration and stress tests and finally deployment. Each of those together can sum to hours while, in my opinion, reasonable time for the whole process should not be more than 30 minutes. Run fast, fail fast, deploy quickly and rip benefits from having new features online. Deploying continuously or at least often means that zero-downtime policy is a must. If we would deploy once a month or only several times a year, having the application unavailable during a short period of time might not be such a bad thing. However, if we’re deploying once a day or even many times a day, downtime, however short it might be, is unacceptable. There are different ways to reach zero-time with blue-green deployment being my favorite. No matter how many automated tests we put in place, there is always the possibility that something will go wrong. Option to rollback to the previous version might save us a lot of trouble if something unexpected happens. Actually, we can build our software in the way that we can rollback to any previous version that passed all our tests. Rollback needs to be as easy as push of a button and it needs to be very fast in order to be able to restore expected functioning of the application with minimal negative effect. Downtime or incorrect behavior costs money and trust. Less time it lasts, less money we lose. Major obstacle in accomplishing rollback is often database. 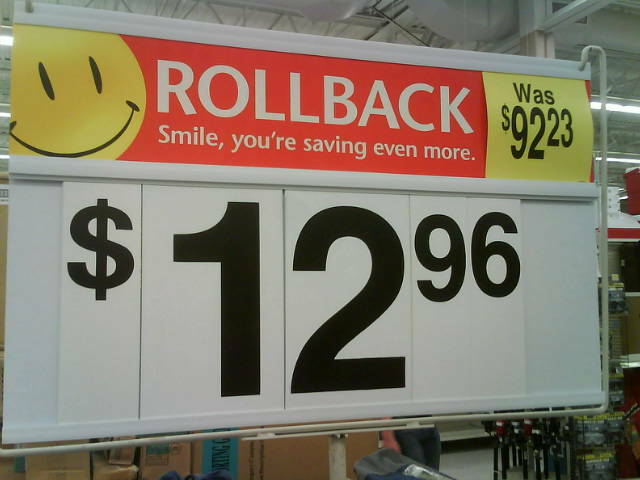 NoSQL tends to handle rollback with more grace. However, the reality is that relational DBs are not going to disappear any time soon and we need to get used to write delta scripts in a way that all changes are backward compatible. Continuous deployment sounds to many as too risky or even impossible. Whether it’s risky depends on the architecture of software we’re building. As a general rule, splitting application into smaller independent elements helps a lot. Microservices is the way to go if possible. Risks aside, in many cases there is no business reason or willingness to adopt continuous delivery. Still, software can be continuously deployed to test servers thus becoming continuous delivery. No matter whether we are doing continuous deployment, delivery, integration or none of those, having automatic and fast deployment with zero downtime and ability to rollback provides great benefits. If for no other reason, because it frees us to do more productive and beneficial tasks. We should design and code our software and let machines do the rest for us. Next article will continue where we stopped and explore different strategies for deploying software. This entry was posted in Continuous Integration, Delivery and Deployment and tagged Continuous delivery, Continuous integration, Delivery and Deployment on November 27, 2014 by Viktor Farcic.